The most popular among Sydney's tourist attractions, Sydney Aquarium is but one of the few that remain open after 5pm in a city that pretty much sleeps early at night-- that is except King's Cross district where the red light district's located. 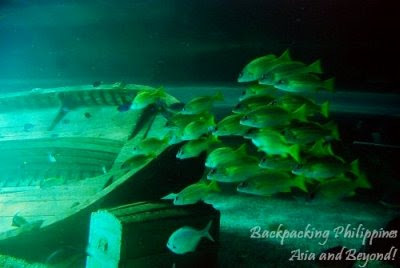 After Tutubi's "classes," he dragged his feet southwards this time going to Darling Harbour to visit Sydney oceanarium. 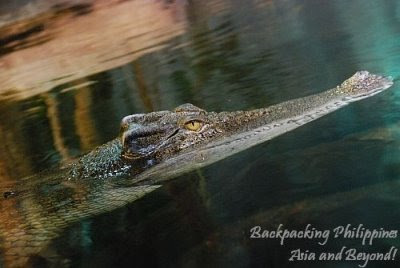 Of the 23 species of crocodiles still extant, 2 of them can be found in Australia (2 of them too in the Philippines, one is endemic). 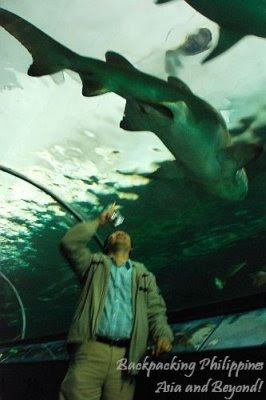 With about 11,500 animals on display, you can walk underwater even interact with sharks on feeding time. Several of Australia's ecosystems are re-created at Sydney Aquarium just to showcase to visitors the rich diversity of Australian flora and fauna. How would you know if a shark is male or female? Sydney Aquarium is said to be Australia's #1 tourist attraction. 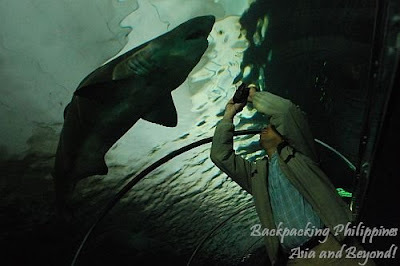 Admission price of Sydney Aquarium is AUD$31.95 for adults and AUD$17.95 for children 4 to 16 years of age. Additional discounts for families. Open from 9am to 10pm. Tip: for cheaper tickets, buy your tickets online and get 10% discount. 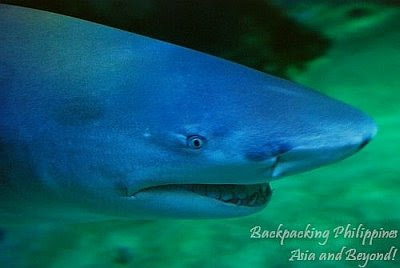 You can also buy cheap combo tickets package of Sydney Aquarium, Wildlife World and AMP Theater for big discounts. Sydney Aquarium also has parking spaces available, no idea on parking fees though. 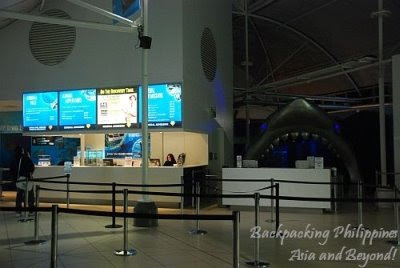 How to get to Sydney Aquarium? it's just walking distance from Sydney CBD, Chinatown and is along charming Darling Harbour beside Sydney Wildlife World. Photography is allowed inside Sydney Aquarium but probably without flash. Not sure sure though since everybody's taking pictures and there were no people to dissuade people to take pictures with flash even if it's horrible to use it. 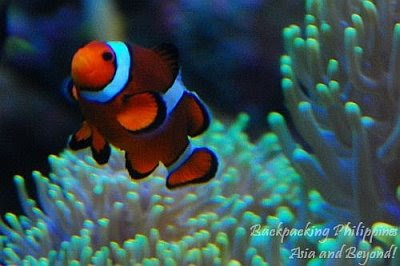 In Asia, there are also similar aquariums like Underwater World Singapore, Hong Kong Ocean Park, Siam Ocean World in Bangkok, Aquaria KLCC Kuala Lumpur and Manila Ocean Park. hello! i've not been to this oceanarium before so can't comment much but the admission fee is definitely a lot higher than the one at Sentosa which is only S$22.90 haha. However, this one in Sydney looks good!